A Stable Emulsion of Next-Generation Forms of Retinoid This formulation combines two forms of next-generation retinoid actives in a combined concentration of 2% by weight: These two actives are: a) Solubilized Hydroxypinacolone Retinoate is a highly-advanced form of retinoid which is, in fact, a non-prescription ester of all-trans direct retinoic acid that offers a multi-fold better effect against signs of ageing than retinol, retinyl palmitate and nearly all other forms of non-prescription retinoid; b) a sustained-delivery form of pure retinol in a protective capsule system which supports both the delivery and the effect of Solubilized Hydroxypinacolone Retinoate. Both forms of retinoid used avoid the irritation associated with retinoid (including retinol) use while delivering better visible results against signs of ageing. Directions: Apply a few drops to face in the PM as part of your skincare regimen. 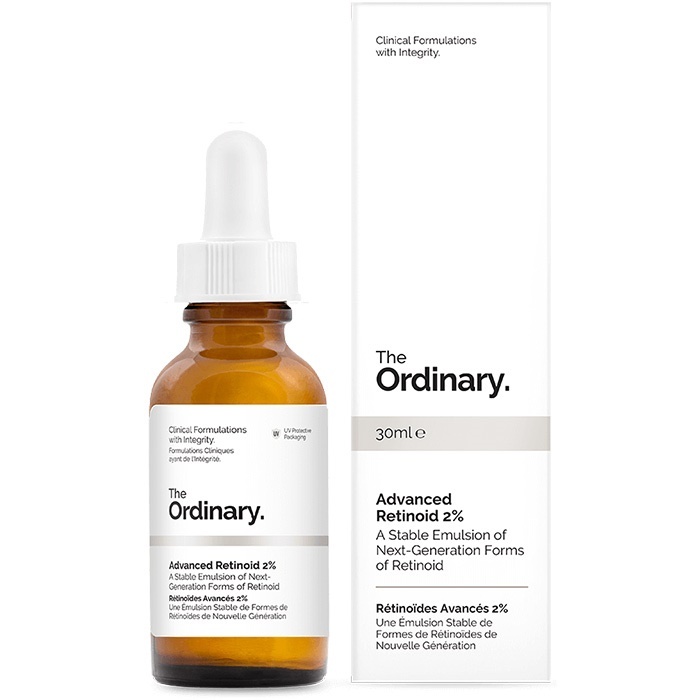 Do not use with other retinoid treatments. Use sun protection in the AM. I was looking for a stronger retinol product and gave this one a try, a bit sceptical of the price vs the claims of the product. I have been pleasantly surprised by it, it's a milky substance that is easy to apply and absorbs well. No peeling or adverse effects for retinol this strong, but would advise to get your skin comfortable with the 1% before the 2% as it does work! I really don't like products in a dropper which is why I gave it 4 stars. This product is definitely a repurchase, no need to speed $100's to get the same result. It doesn't feel luxurious, it just does the job. This product has a milky consistency and smells a bit like oil. It spreads easily and absorbs quickly without being greasy. I use it after my toner, and before my moisturiser at night. I started by using it twice a week, and eventually every other day, and now I use it every night. I have definitely noticed a significant improvement in my pigmentation, texture and overall skin clarity. Will be buying again.